Hawaii is an extraordinary place where nature meets aloha. 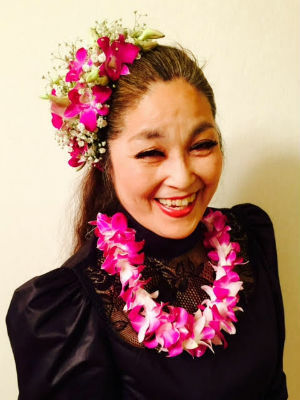 Nani Pomaikai, our instructor, fell in love with hula and Hawaiian ribbon lei, and now offers lei-making classes. We are very excited to participate as a craft vendor for the first time.